Missable trophies: See the table below for a list of all missable trophies. 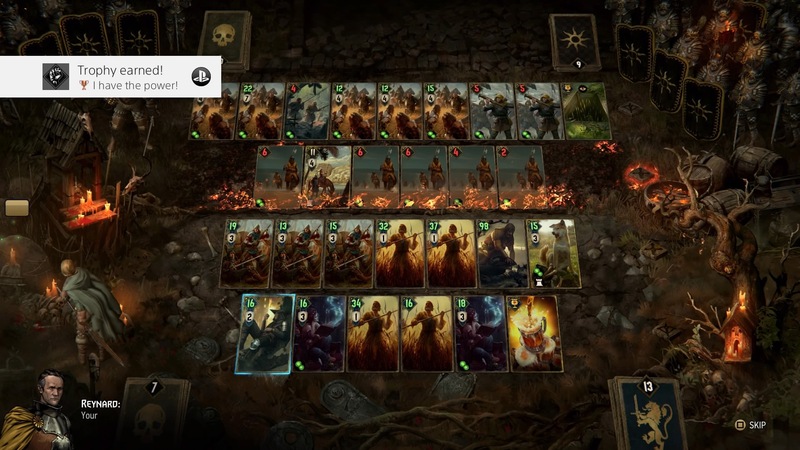 Welcome on the Thronebreaker Trophy Guide. 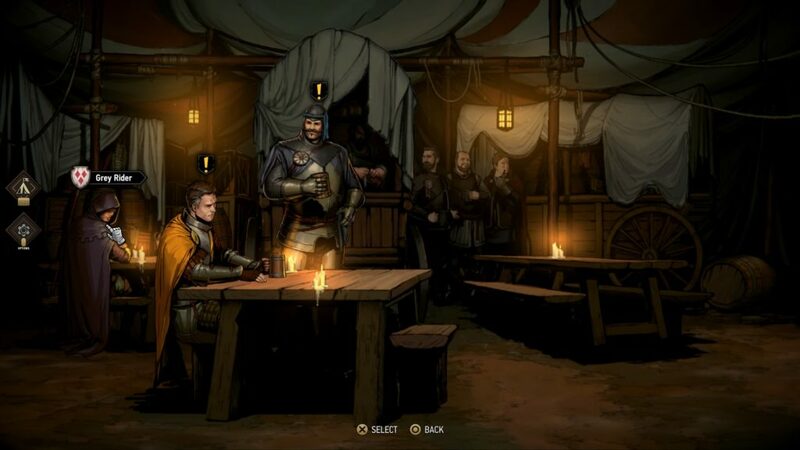 Thronebreaker has a total of 6 regions for you to discover. After you complete a region, you won’t be able to return. The game will give you a clear warning when you reach this point. You can only leave the area if you earned all trophies listed below! You will need to collect ALL golden chests before you leave an area, this is very important! See the trophy “Tax Collector” for more information on this. I would strongly advise you to complete all maps 100%. When you open the map you can press triangle to discover a few of the important areas. This will only cost you 50 gold(after you unlocked the skill for it). Make sure you use this skill a few times for each area so you know for sure that you discovered all points of interest. After you discovered them, make sure to complete them. Complete at least all marks below before progressing to the next area. Yellow: Treasure chests. (Marked 1-10). 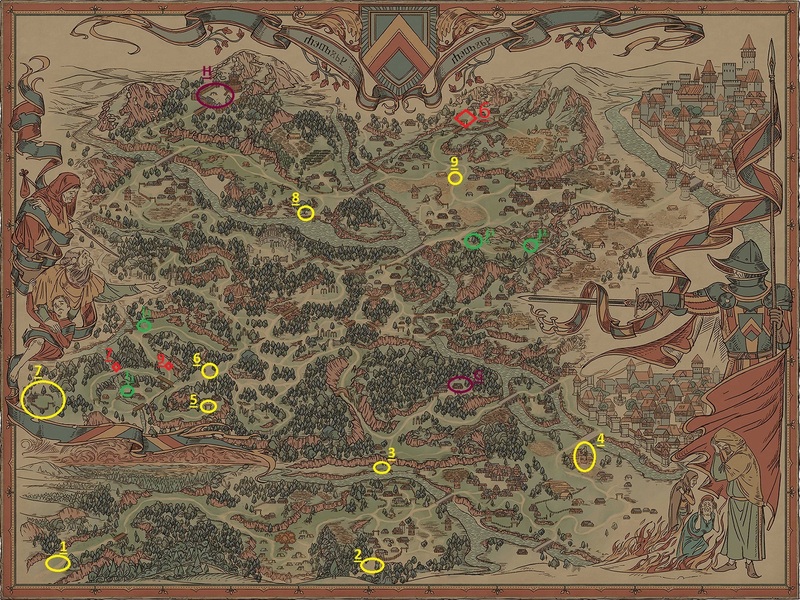 Light Red: Treasure maps needed to find the Treasure chests. Dark red: Location of the Manticore. Pink A: You will trigger the church quest here. Some shiny coins have been stolen. Pink B: The location of the loot. Make sure you RETURN the loot to the church. Yellow: Treasure chests. (Marked 1-9). Purple G: Knickers – Simply win the puzzle. Purple H: Isbel – Defeat the camp to free her. Green I: Location of third weapon (Flail -> Attack the hawkers and equip yourself with the weapons). 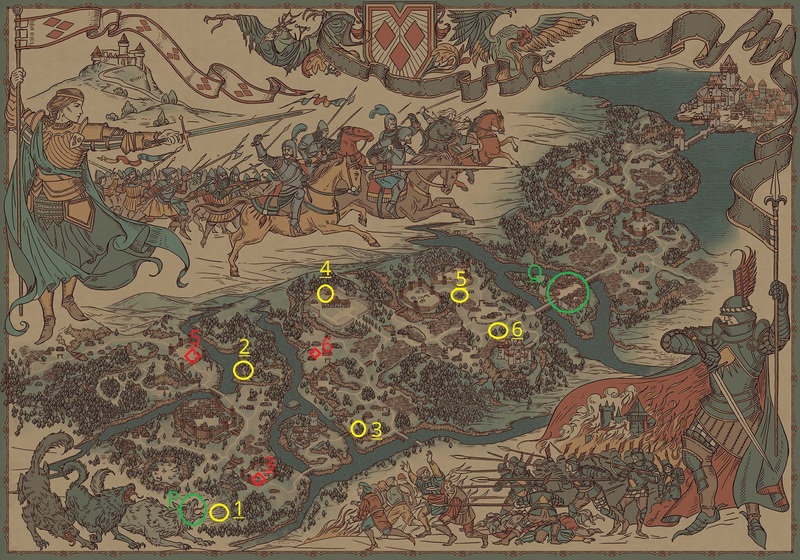 Green J: Location of fourth weapon (Ornamental Sword -> Attack the traitors, show mercy, solve the puzzle). Yellow: Treasure chests. (Marked 1-8). Dark Red K: Keltullis – Win the battle and kill the drake. Green L: Location of the fifth weapon. (Attack the convoy). Purple M: Barnabas – Pay for his release. Purple N: Location for “Party’s over!” trophy. Green O: Location of the sixth weapon. Cartographer Collect 15 treasure maps. Yes. Red marks on all maps. Through the fourth wall Find the easter egg. Yes. Green P.
Tax collector Find all golden chests. Yes. Yellow marks on all maps. Green P: Easter Egg Trophy (Through the fourth wall). Green Q: Location of the seventh weapon. (Win the fight, release the blacksmith). Map of Aldersberg. No points of interest here. Fully upgrade your army camp. You will need to upgrade every building in your camp. This will cost you gold & wood. The early upgrades are focused on gold, while the upgrades later on will cost more wood. The balance between gold and wood will also shift when reaching the levels further on, so don’t worry about that. 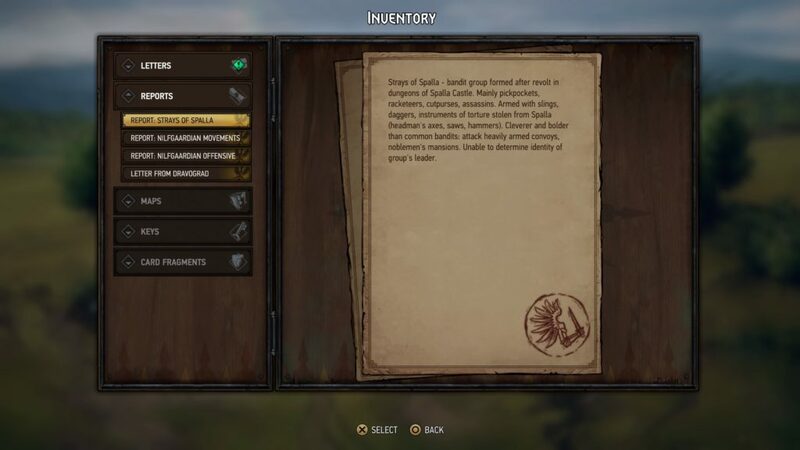 You will also be able to unlock a skill which allows you to trade in gold for wood. (trading post). I unlocked this trophy during the fourth area Angren and had a lot of money to spare while playing the last map Rivia. This trophy is earned once you beat the final battle in the last map, Rivia. You will be fighting a Nilfgaardian captain. The trick here is to focus your deck on boosting yourself, instead of killing the enemies. Their commander has the ability to spawn a new card for each card you kill. Recruit Barnabas Beckenbuaer into your army. You will find Barnabas in Mahakam. He is marked with a purple M. Make your way to this spot and pay for his release. Recruit Isbel into your army. Isbel is found in Aedirn. She is marked with a purple H. Defeat the camp she is held at and she will join you afterwards. Recruit Eyck into your army. Eyck is found in Lyria. He is marked with the pink C. You will need to defeat the manticore before he will join your army. The areas Pink A & Pink B trigger an event involving a church. You can choose to steal gold from a church here. DO NOT keep the money, RETURN IT to the church. If you keep it, Eyck will NOT join you. Mark B will be the point where you can make this very decision. For the first option pick “How goes your hunt”. Choose for the second option ” I Shall help you if you then join us”. For the third option pick “I insist, Sir Eyck”. Eyck will join you and you will need to move towards the marked red area. fight the manticore there and this trophy will pop. Don’t pick the option “Godspeed, Eyck”, this will make Eyck leave. Recruit the dog into your army. Knickers is found at Aedirn. He is marked with the Purple G. Win the puzzle and Knickers will join your army. 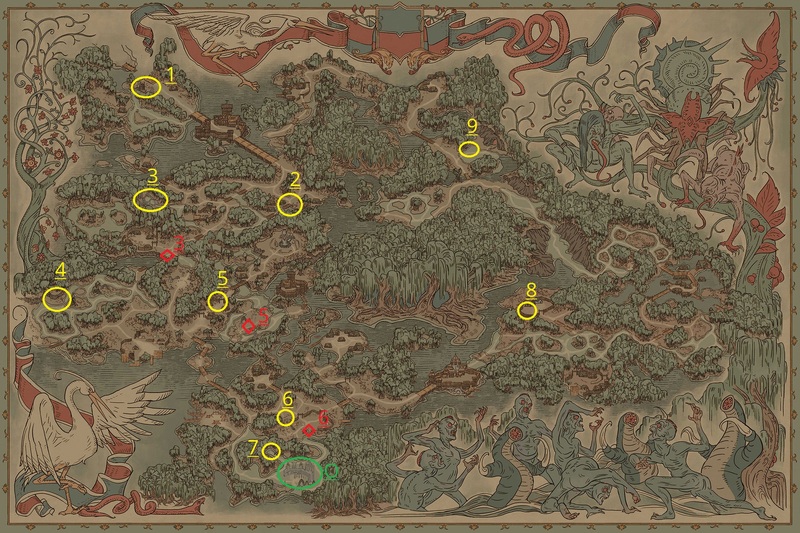 Each area contains a few golden chests, you will need to clear out each area before you progress to the next one. You will NOT be able to return to a previous area once you leave it. Some chests requires you to find a treasure map before you can find it. These are marked in red on the maps below. The chests are marked yellow. Lyria: A total of 10 golden chests. Aedirn: A total of 9 golden chests. Mahakam: A total of 7 golden chests. Angren: A total of 9 golden chests. Rivia: A total of 6 golden chests. This is also the place where you can check how many playable units you have for the trophy “In Good Company”. You will need to read all the Spymaster letters you receive from the story-related quests. You won’t need to complete any side-quests for this trophy. After completing the Elf battle in Aldersberg you will receive the last one needed for this trophy. Open the menu and read all letters you found. The trophy should pop when the last letter is read. All weapons are marked below with a green circle. These weapons are leader cards which you can use for your deck. You can only use one at a time and you are free to switch them after each fight. A total of 8 leader cards are present within the game. Missing one would mean you have to restart the campaign. Defeat the Grave Hag (Marked E). Defeat Gascon during the main quest. (Marked F). Go to the peasant marked I(1) and get information about the Hawkers. You can either pay or force the information. Go to the hawkers marked I(2) and attack them (“Give the order to attack”). After the fight choose to equip your soldiers with the weapons. Go the camp with the Aedirnian traitors marked J(1), choose to attack the traitor. After the fight, you will need to SHOW MERCY to Falbeson. He will invite you to his home, a few meters to the right, marked J(2). Accept his offer and he will betray you once again. Solve the puzzle and this card will be yours. Go to the marked spot L on the map. A quest with a Nilfgaardian convoy will trigger. Choose to attack the convoy. Win this battle and the card is yours. Go to the marked area O. You will find an Elven tomb, choose to enter it. Kill the monsters and you will earn his card. Go to the marked area Q. You will find yourself choosing the faith of a blacksmith who made weapons for the Nilfgaardian army. After the battle, you will be able to “Release the blacksmith” make sure you select this option! The blacksmith will give you the spear as a big thank you. Complete the main story line for Lyria. 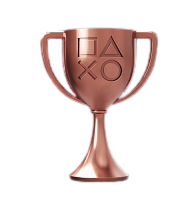 This trophy is earned after completing the area Lyria. Story related and cannot be missed. I would highly recommend to complete all important areas within this area. You can use the scout ability to spot anything you may have missed. It will only cost you a few hounded gold for each map. You will get a message once you cannot use the scout ability when you discovered all important things. Complete the main story line for Aedirn. This trophy is earned after completing the area Aedirn. Story related and cannot be missed. I would highly recommend to complete all important areas within this area. You can use the scout ability to spot anything you may have missed. It will only cost you a few hounded gold for each map. You will get a message once you cannot use the scout ability when you discovered all important things. Complete the main story line for Mahakam. 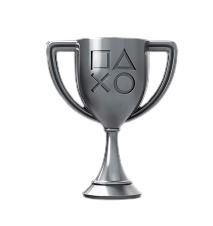 This trophy is earned after completing the area Mahakam. Story related and cannot be missed. I would highly recommend to complete all important areas within this area. You can use the scout ability to spot anything you may have missed. It will only cost you a few hundred gold for each map. You will get a message once you cannot use the scout ability when you discovered all important things. Complete the main story line for Angren. This trophy is earned after completing the area Angren. Story related and cannot be missed. I would highly recommend to complete all important areas within this area. You can use the scout ability to spot anything you may have missed. It will only cost you a few hundred gold for each map. You will get a message once you cannot use the scout ability when you discovered all important things. Complete the main story line for Rivia. This trophy is earned after completing the area Rivia. Story related and cannot be missed. I would highly recommend to complete all important areas within this area. You can use the scout ability to spot anything you may have missed. It will only cost you a few hundred gold for each map. You will get a message once you cannot use the scout ability when you discovered all important things. The final fight will be against the Nilfgaardian general. You will need to focus your deck on boosting your own units. You cannot kill any of his units, because the commander has the ability to play a new unit for every unit you kill. Puzzles are found on all maps, they are marked with a puzzle icon. I would recommend that you complete all puzzles, because they will earn you lots of gold, wood and unique cards. This trophy should pop in Mahakam. Play 5 or more characters in one battle. Eyck, Gascon, Isbel, Xavier Lemmens, Barnabas, Gabor Zigrin, Rayla, Reynard, Arnjolf, Villem and Knickers. Unlock all of Gascon’s Buildings. You will need to upgrade the specific skills that grant you the Garcon’s buildings. There is also a trophy that requires you to unlock all Reynard’s buildings. However, for the trophy “Army Camp tycoon” you will need to fully upgrade your camp. Just upgrade all buildings and the trophies “Dogs of War”& “A-ten-hut!” will also pop. Unlock all of Reynard’s buildings. You will need to upgrade the specific skills that grant you the Reynard’s buildings. There is also a trophy that requires you to unlock all of Gascon’s buildings. However, for the trophy “Army Camp tycoon” you will need to fully upgrade your camp. Just upgrade all buildings and the trophies “Dogs of War”& “A-ten-hut!” will also pop. Use Meve to trigger allies’ Loyal abilities 100 times. You can use Meve’s abilities each fight a few times. She is positioned left of the battlefield, move your marker towards her to trigger the ability. Each “weapon card” or “leader card” will change the behaviour of this ability. 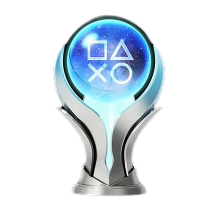 You will be using this ability a lot, so don’t worry too much about this trophy. It should pop somewhere in the second or third map. This trophy can be earned in Mahakam, marked N. Summon a few cards before killing all the dogs with the epidemic card. See the video below if you encounter any trouble. The Manticore is found in Lyria. This trophy is tied together with finding Eyck, he will help you in killing the manticore. Kelltulis the dragon is found in Mahakam, marked K1 & K2. Win the first battle at K1 and then make your way to K2. Enter the cave and choose to slay the dragon. This will earn you this trophy, 10.000 gold and an artifact. You will encounter Eldain in Aedirn. It is a story related quest that is not missable. The tutorial is integrated in the campaign and cannot be missed. The basic stuff will be explained so you will understand the game a bit better. You will be able to kill Caldwell in Angren, it’s a story related mission that cannot be missed. Win a non-Puzzle battle without any of your units being killed. This trophy can be earned in Lyria, together with the ” Was that supposed to hurt? “trophy. It’s marked on the map with a purple D.
The A.I will place a card facing down, dodge this card by placing all units on the range row. Keep doing this until the card flips over. When the card flips, immediately kill it with your archer. This will eliminate all danger from this battle, and you will be able to earn both trophies. It is highly recommended that you play Rivian Pikeman in the first round, a random card in the second round and the Lyrian Arbalest in the third round to kill the flipped card. See the video below if you have any trouble. Train your first Gascon Unit. When you upgrade the command tent, you will unlock new units. I highly suggest you upgrade everything for the “Army Camp tycoon” trophy. You also need to make each card at least once. You will have plenty of resources for it, don’t worry about that part. Making each card will unlock you the trophies “Dog Trainer”, “At ease, Private” & “One Big happy family”. Train your first Reynard Unit. An example of a Reynard Unit is pretty much all the catapults ingame. Own at least one copy of each non-Reynard, non-Gascon unit. End a round with a score of over 300. – The Lyrian pikemen. Playing one will summon all 5 of them. (Make sure you have 5 of them in your deck). – The beer, it will boost your score on each row by 2 for each round passing by. (This card is an example of an artifact). – The forager; He has the Ability to kill 2 units towards the right, if it kills an artifact he will double it own power. Boost the first unit to the right with 30/40 and activate his ability. He will kill the first unit, gaining its power. He should have something around 49, because the second card will be an artifact and it will double his power, netting him a total score of 98. – The Lyrian scytheman, they can be boosted when using your leader ability. – The mage with the book. Use them to place an additional 2 units of the “spearman”into your deck. – The card “Reinforcements”. This will allow you to play all cards from one certain unit on the field. Select the spearman, AFTER playing the mages at least twice. Now keep using the leader ability as much as possible. I’m sure there are plenty other solutions to obtain a score higher than 300. This trophy is earned at Angren. You will encounter your very first Witcher, who will tell you about this hideous beast. Make your way to it and slay it. Story related and not missable. Trinkets are also referred to as artefacts. They are found plenty within the game and this trophy should pop within the first or second area. I highly suggest completing each map 100% so you don’t miss out on anything. This trophy is earned in the last map, Rivia. Make your way to the marked area P. The trophy will automatically pop, you will also find some loot while you are there, including a gold chest. It is likely that you will make your way to there naturally. The easter egg itself is the whistling that can be heard. The one who is whistling is Gaunter O’Dimm, who you may know from The Witcher 3. Earn 10.000 or more gold. You will need to earn a total of 10.000 gold. This will happen without any problems at all. Gold is earned by picking up loot and defeating enemies. You are able to make choices that allow you to earn a lot of money. For instance one of them is killing the dragon in Mahakam, which will earn you 10.000 gold at once. Was that supposed to hurt?. Win a non-Puzzle battle with less than 10 damage taken in total. See “All present and accounted for”. You will find shrines throughout the whole game. You can interact with each one once. They will increase your karma, which can buff your score of each card with +1. You will need to find a total of 10 shrines. There are way more than 10 shrines present within the game. Treasure maps are found by interacting with peasants. 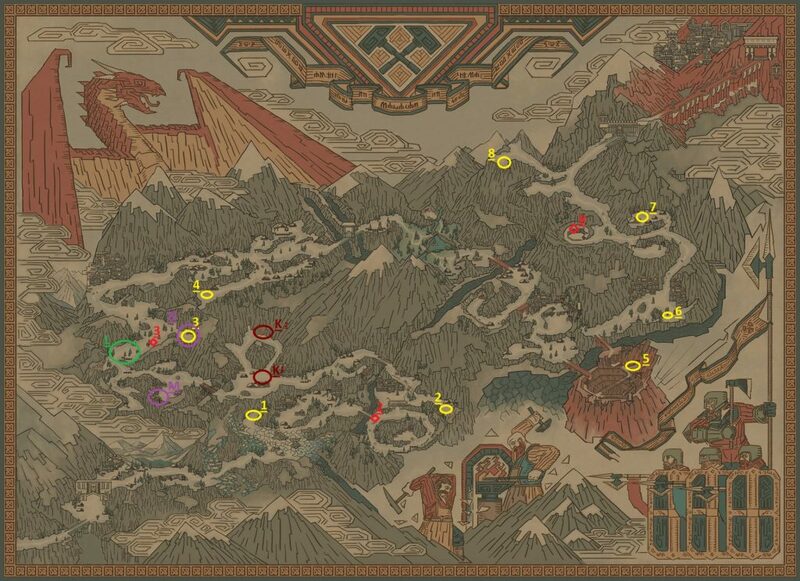 They are all marked in the various maps with a red mark. This trophy will come naturally while going for the “Army Camp tycoon” trophy. Gather 5.000 wood throughout the game. Wood is gathered by looting it after you defeated enemies or by finding it in the world. You will reach this amount without any problems if you complete all areas. You will be able to recruit soldiers in various ways. There is a skill that allows you to recruit a fixed amount of recruits after each battle. You will also be able to gain recruits by making certain decisions ingame. The benefits of gaining recruits are always mentioned when making a decision. You can also gain recruits by interacting with the banners in towns (Blue flag). All in all this trophy shouldn’t form any trouble and should unlock naturally during your playthrough.